With its undulating colored ovals traversed by animated brushstrokes, Vasily Kandinsky’s Black Lines (1913), is among the first of his truly nonobjective paintings. The network of thin, agitated lines indicates a graphic, two-dimensional sensibility, while the floating, vibrantly hued forms suggest various spatial depths. 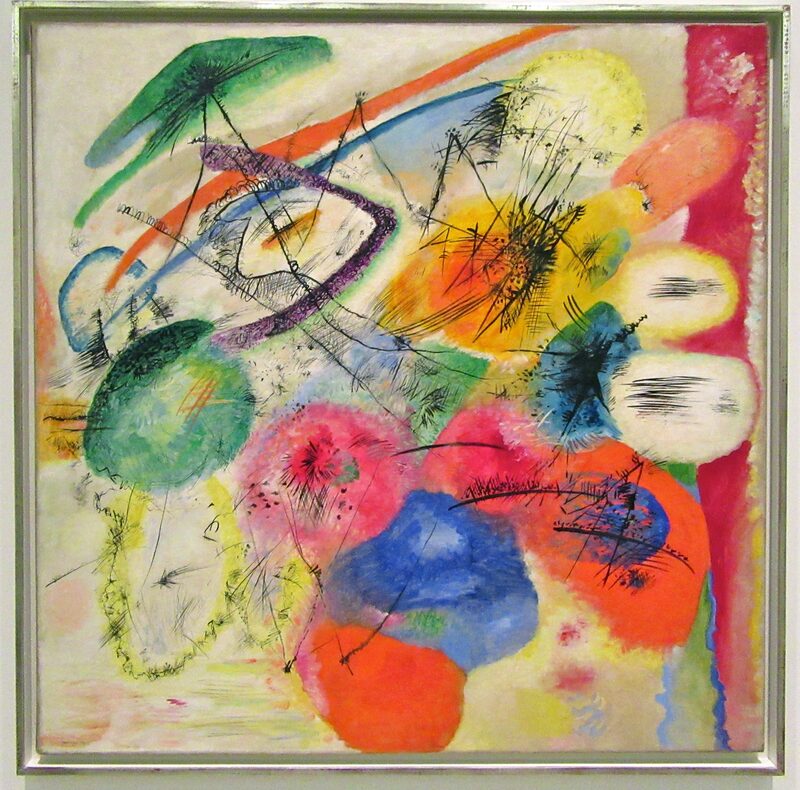 By 1913 Kandinsky’s aesthetic theories and aspirations were well developed. He valued painterly abstraction as the most effective stylistic means through which to reveal hidden aspects of the empirical world, express subjective realities, aspire to the metaphysical, and offer a regenerative vision of the future. Kandinsky wanted the evocative power of carefully chosen and dynamically interrelated colors, shapes, and lines to elicit specific responses from viewers of his canvases. The inner vision of an artist, he believed, could thereby be translated into a universally accessible statement.